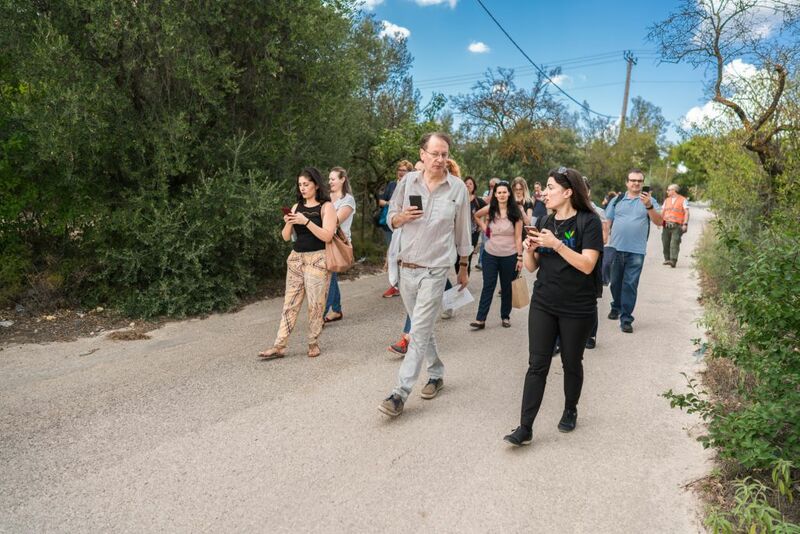 A total of 261 volunteers became ‘citizen scientists’ for a day and collected valuable environmental information concerning river parameters, soil moisture, air temperature, and land use/land cover. The volunteers came from universities, businesses and other organisations in the local community, and it was the first time for many of them to participate in a citizen science campaign. The data was collected using fun new smartphone apps developed by the Scent project: Scent Explore and Scent Measure. The citizen scientists were among the first to put the new apps to the test during the field campaigns. 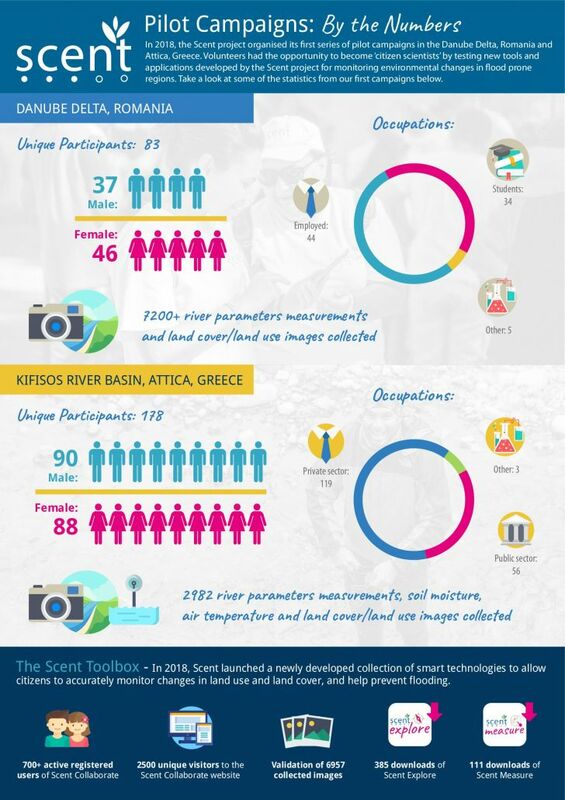 The volunteers explored the waterways of the Kifisos river and the Danube Delta ‘hunting’ and taking photos and videos of hidden Scent creatures using the augmented reality function of the Scent Explore app, and using Scent measure and a portable sensor to test soil moisture and air temperature. The photos taken by the volunteers were uploaded to the Scent system where users help to train machines to recognise and annotate environmental features in the images such as trees, pastures and buildings. 6,957 images from the campaigns were validated using the Scent system. The data collected by volunteers is highly valuable to the Scent scientists, as it helps to prevent flooding and natural disasters through the creation of more accurate flood models. Without the contribution of citizen science volunteers, researchers would not be able to collect the large amounts of up-to-date information needed to create the improved flood maps. You can see a full breakdown of all the statistics in our new ‘Scent: By the Numbers’ below or download the infographic by clicking here. Scent Explore and Scent Measure already have 496 downloads. You can download the apps to your smartphone by clicking here. You can find out more about our upcoming campaigns in the Danube Delta and in Athens by clicking here.